Have homework from your child's teacher? Yes. The teacher gave us a login. 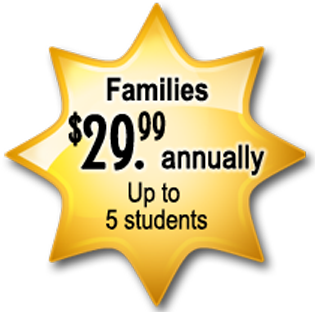 Having a student login means that your child’s teacher has a Premium Membership. You will receive the maximum benefits from VocabularySpellingCity. Log in on the top right corner of the page. Your children will be taken to their teacher’s home page and to their assignments. Yes. The teacher told us to practice our words but did not give us a login. Your child's teacher is using the Free Membership. Search for your school to find your teacher's lists. 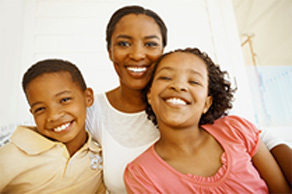 Sign up for Family Premium Membership for $29.99/year. Alternatively, parents or the PTA often buy a classroom membership for the teacher for $52.95/year. More than 35 activities and games make practicing any word list a fun activity. 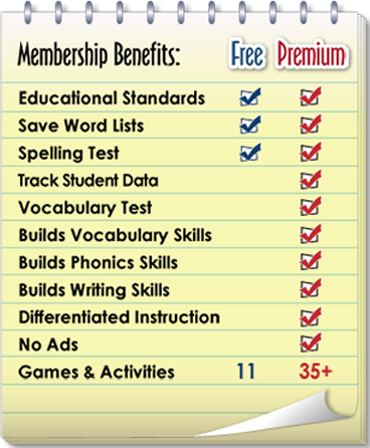 VocabularySpellingCity provides you with reports of your children’s activities, progress, scores on tests, and the words that they still have to master. 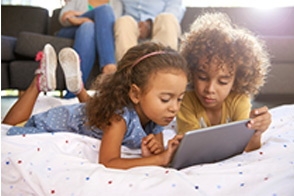 Your kids can use the games and activities on their own and at their pace. Students can practice and master their word lists using games and practice tests. 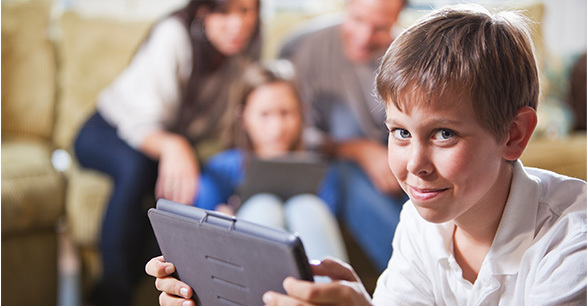 VocabularySpellingCity is always ready to use, whether your kids are at school, at home, or on the go. Our games and activities are available as apps for iPad, iPhone, Android, and Chromebook. Your program is amazing. 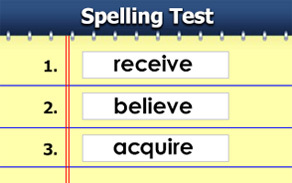 Both our children and their classes use SpellingCity for the assignments. My children have made 100 percent improvement in their spelling since using it. Thank you."